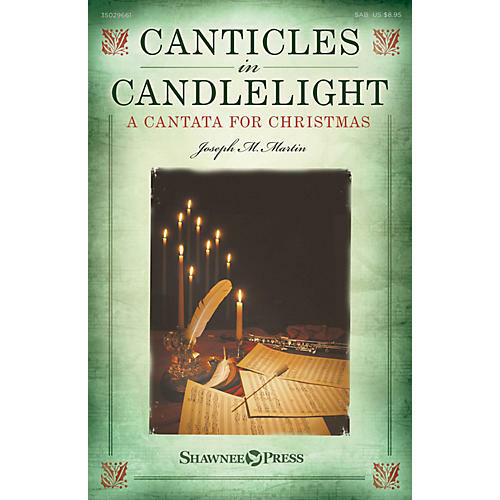 Canticles in Candlelight is a musical service of illumination that gradually fills the sanctuary or concert hall with music and light. With Scripture, narration, carols and candles, this compelling cantata tells the treasured story of Christ's birth. Filled with variety yet rooted in a traditional music vernacular, there are tasteful classical references in the arrangements as well as opportunities for congregational singing. From the hushed whisper of the Candlelight Processional to the festive arrangements of some of our most beloved carols, this work has something for everyone. An optional quiet ending is offered for churches wanting a more devotional closing. A full line of support products is offered, including a stunning orchestration by Brant Adams. Includes: Prologue; Processional; Prepare and Celebrate; Advent Longing; Come, Long-Expected Jesus; Awake! Arise! Rejoice! ; Carols of Joy and Hope; Joy to the World; A Christmas Madrigal; Turn Your Heart to Christmas; A Festive Christmas Flourish; Silent Night, Holy Night.